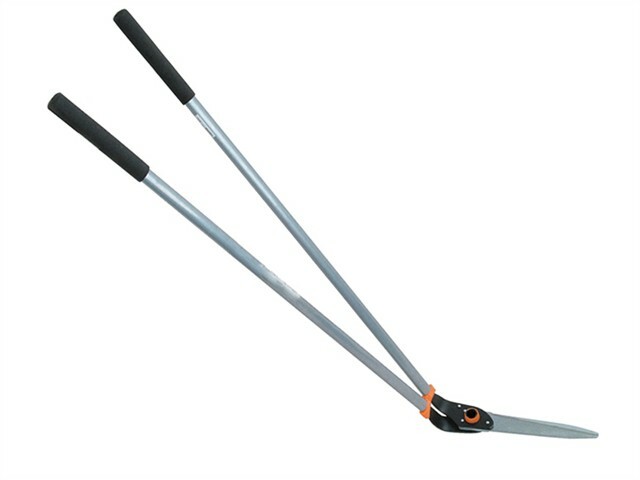 The Fiskars FSK113320 Long Handled Lawn Shears are are ideal for cutting grass in awkward to reach places. Long handles, which help to reduce bending and back strain. Comfortable SoftGrip™ handles provide extra grip, whilst the cushioned bumper helps to reduce strain. The blades are made from heat treated carbon steel, which is tough and durable.